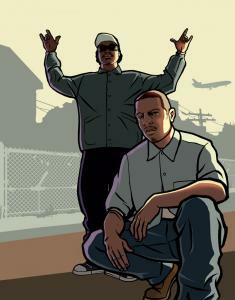 Interests Grand Theft Auto 3, Grand Theft Auto Vice City, Grand Theft Auto Vice City Stories, Grand Theft Auto Liberty City Stories, Grand Theft Auto San Andreas, Grand Theft Auto IV. helped me alot with getting closer to the achievement as i knew what i was now looking for. Signature "Don't Make Me Start Shootin' At You"
It Would Help If You Wasn't Holding A Katana, CJ.